From the east end of Asheville’s city limits, the Craggy Mountains surge impressively to the northeast. At the lower bounds of the range is a terrific section of the Mountains-to-Sea Trail that leads to a tranquil historic site worthy of a stopover. 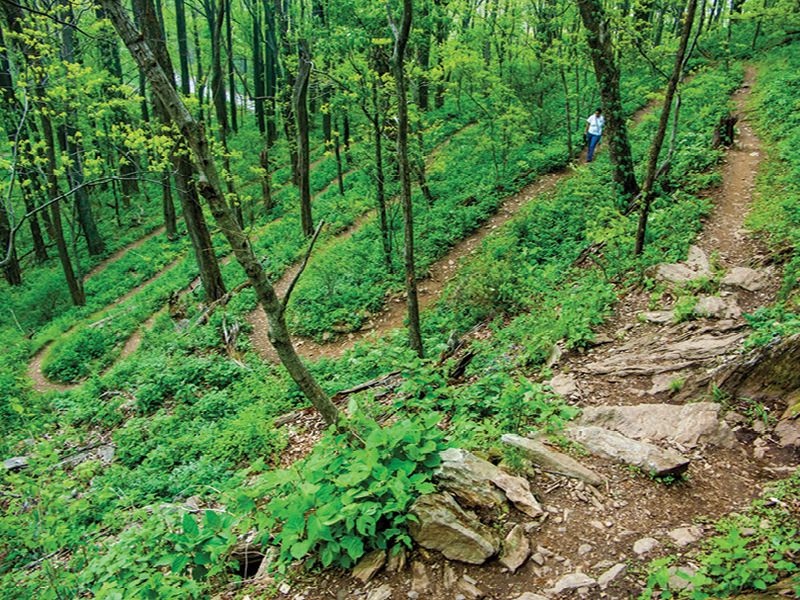 This section of the MST traverses varying terrain as it climbs over Bull Mountain along segments of an old wagon road—the legacy of noted conservationist Dr. Chase Ambler. The accomplished physician and public-lands advocate built the route to reach his summer residence, Rattlesnake Lodge. Ambler was also a pioneer of trail development and played a key role in adding thousands of acres of southern Appalachian forest to the public domain. He helped establish the southern chapter of the Appalachian Mountain Club (now the Carolina Mountain Club) and Mount Mitchell State Park, and sparked the effort to create the Great Smoky Mountains National Park (where a 6,000-foot peak bears his name). Dr. Chase Ambler built the route to reach his summer residence, Rattlesnake Lodge. To reach the site of the lodge, from the MST trailhead at Ox Creek Road hike through a mature forest of hardwoods. 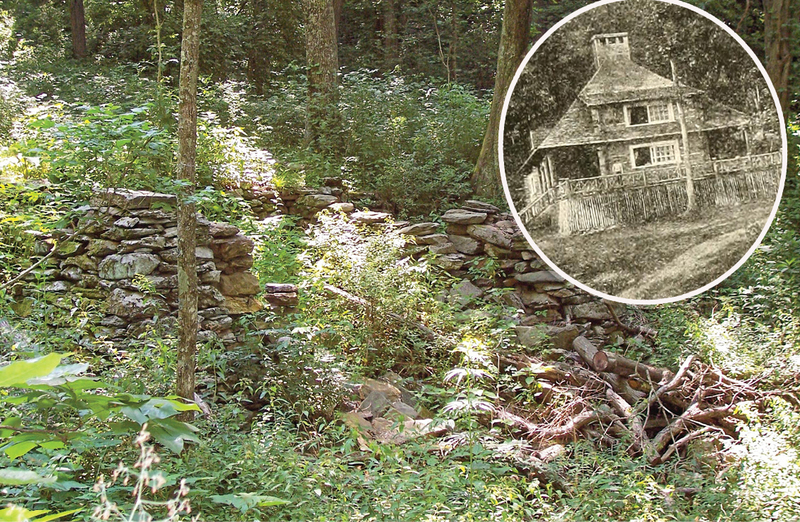 In just over two miles, arrive at the ruins of Rattlesnake Lodge. Ambler sold the lodge several years before it burned in 1926. Some remains are evident, but it takes some imagination to grasp the ambiance of the one-time mountain getaway. Enjoy the scene and return the way you came. Navigate: From milepost 382 on the Blue Ridge Parkway in Asheville, follow the parkway north for 6.2 miles. Turn left on Ox Creek Road and, after the switchback, park in the pull-off at the Mountains-to-Sea trailhead.